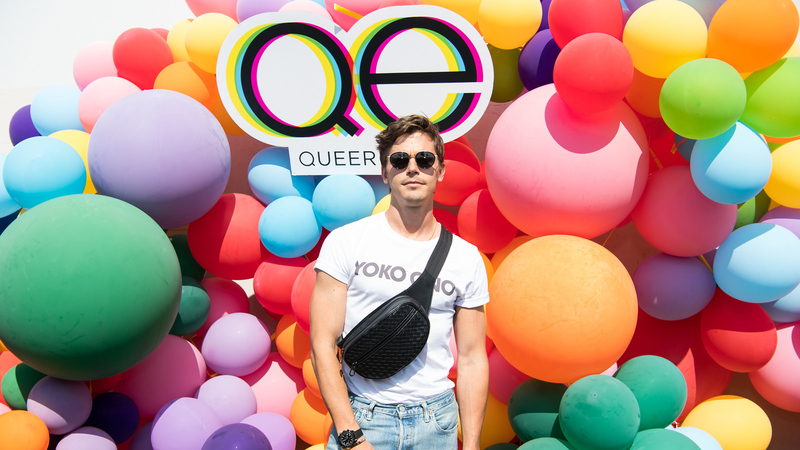 Back in June, we discovered that Queer Eye's resident culinary expert, Antoni Porowski, would be opening his own restaurant in New York City. Now, we're getting more of the details about Village Den, and it seems like this is one restaurant that's definitely worth road-tripping to. A fast-casual café, Village Den will focus on nutritious comfort food. It's located near a popular high-end gym in the West Village, so the low-carb menu is bound to be a hit. Porowski gets a lot of flak for the simple food he teaches the heroes of Queer Eye to cook, but hey, he's helping them build new skills. If you've ever looked at his Instagram stories, you know Porowski has got serious chops. Porowski is also, um, quite fit (in the British sense of the term too), so he's combining his love of eating healthy with his passion for cooking. Porowski told The New York Times that some of the dishes the restaurant will serve include turkey and cauliflower rice-stuffed cabbage rolls, macadamia-crusted fish sticks with maple parsnip mash and maybe even a few slices of avocado here and there (the original menu didn't have any, even though that seems to be the food Porowski is most associated with). Since he'll be busy filming Queer Eye and building his career in entertainment, Porowski is focusing on the menu-creation side of the business, while his partners will handle day-to-day operations. He said that after years working in restaurants in varying positions and as a sommelier, he never wanted to open a restaurant of his own — because he's seen firsthand how much work it is. With this arrangement, however, he gets to do the part he loves without having to worry about too many big-picture details. Village Den opens in September, and if other Queer Eye fans are as excited as we are, you might want to get in line now.